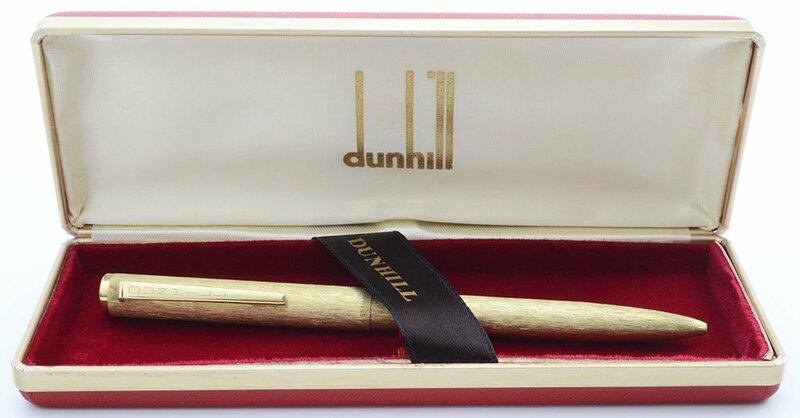 New old stock solid gold 14k Dunhill ballpoint pen from the 1970s. It has a broad brushed pattern and works well. A blue refill is installed. It ships in its original box. Manufacturer and Year Dunhill, Germany -- 1970s. 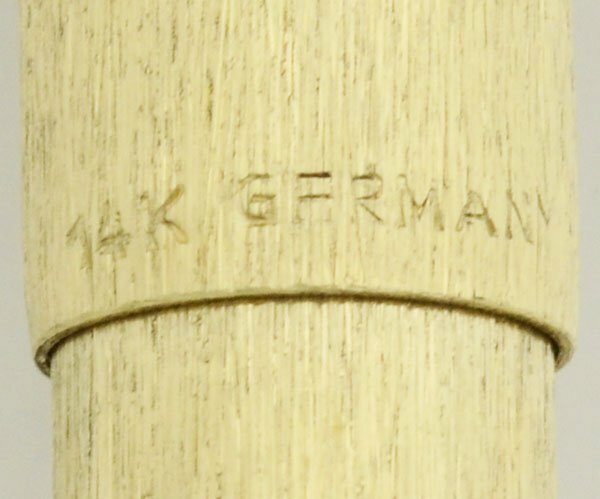 Despite Dunhill being based in the UK, in the 1970s and 1980s the pens were generally made by Montblanc or Reform in Germany. Filling System Takes Dunhill ballpoint refills. These days you can use Schmidt 1020 or Schneider Express 225 refills. A working blue Dunhill brand refill is installed. The refill can be a bit slow to start but it does work. We will include a spare Schmidt refill which is new. 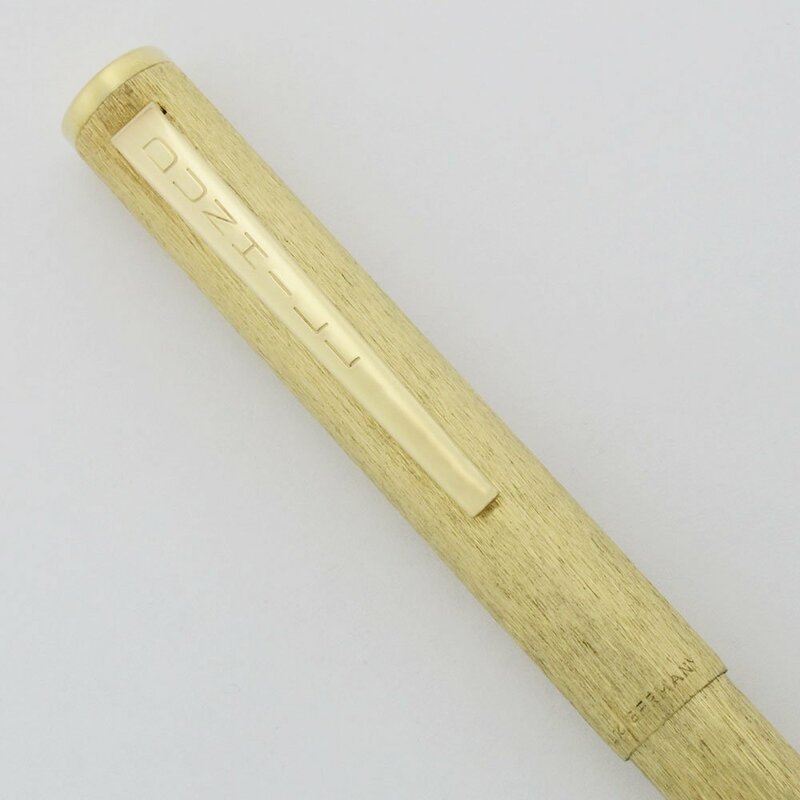 Color Solid 14k gold pen. It has a broad brushed pattern or a fine bark pattern. Condition New Old Stock ballpoint pen. It is in mint condition with some spots of tarnish due to age. It ships in its original Dunhill box.